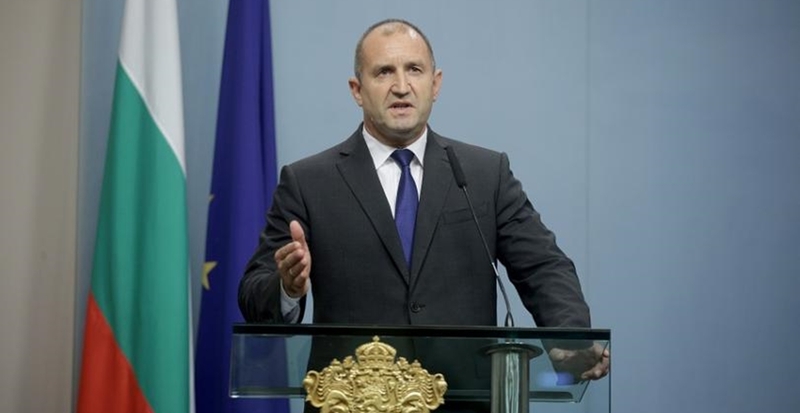 Bulgarian President Roumen Radev has hit back at Foreign Minister Ekaterina Zaharieva and the country’s government over the Venezuela issue, saying that there was nothing to discuss because the Bulgarian government “did not have its own position on the issue”. Radev was speaking to journalists on February 7 after Zaharieva criticised his conduct on speaking against recognition of Juan Guaidó as interim President of Venezuela, and doing so on social networks before a Cabinet security council meeting scheduled on the matter had gone ahead. “I have nothing and no one to discuss this with,” Radev said, saying that it was strange that the Foreign Ministry would seek him out on the Venezuela issue “rather than looking for me on important issues that concern our national interests”. “The good-neighbourliness treaty with Macedonia, for example, or the accesssion protocol for Macedonia’s accession to Nato,” Radev said. Referring to events months ago, he said that Bulgarian Prime Minister Boiko Borissov had arrived in Moscow on a visit only a week after he had. “I found that out from our Russian partners in front of the cameras of Bulgarian and world TV,” Radev said. “Nor did they ask me about the UN session in New York.” In 2018, instead of Radev going to address the UN General Assembly opening session in September, Borissov went, in a move that left the presidency’s nose out of joint and which led to accusations that the government had failed to consult it about the move. On Venezuela, Radev said that once again, the government was “hiding behind the collective irresponsibility” of the Cabinet security council, which was empowered to deal with domestic national security issues, not international affairs. Radev said that he had stated his position “very well-reasoned” before the security council meeting. At that meeting, his representatives declined to back the position adopted recognising Guaidó. Radev said that Venezuela had an acute political, socio-economic and humanitarian crisis that was compounded further by a severe crisis of people migrating out of the country. “It is very easy for Bulgarian citizens to make an analogy with the situation in Bulgaria, which to a certain extent is due to the government’s actions. Just take our migrant crisis. Let’s compare with Venezuela, with 32 million people, how many people left our country with our population,” he said. Reports have said that four million people have quit Venezuela recently.